It’s Sunday again, folks! You know what that means… You don’t? Neither do I. Anyway, let’s get cracking on that weekly update. Wordcount: 51,000; I actually got no writing done until today. I think I did roughly 300 of the 5,000 in the first six days of the week. My plan is to finish writing Zuri’s route this week and knock out Sol’s next week. Music: We’ve been licensing a few new songs to help make things sound a little more epic. CG: There has been a new addition to our CG artist lineup. I want to take a moment and welcome Jason to the project. Sprites: …what? They were all done last week. Coding: I’ve begun the long and arduous process of adding in all of the music and sprites to the game. Wish my poor brain luck with this dull task. Misc: Once I finish up Zuri’s route and getting the sprites added, I will be looking for testers and proofreaders once again. Expect to see that request next week. That’s it for now. No pretty art update this week. Stay tuned for more excitement and whatnot as we are roughly a month from release. The video of the post is dedicated to my having to strike the yuri route. Today, five years ago, I released my first game on ren’py. 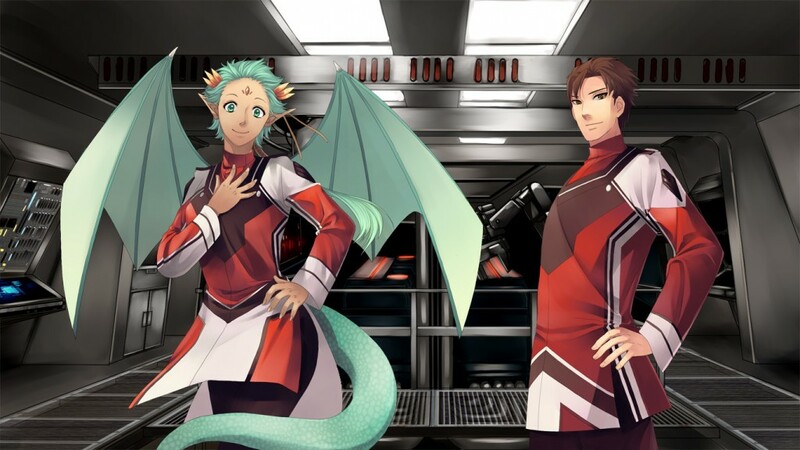 While technically not my first visual novel developed (I worked on my own engine and with Blade Engine prior), it was the first I made and released to the world. Today, I take a moment to celebrate being an active developer in this community for five years. No big contests this year, no new releases. I just wanted to take a moment and raise a toast to those developers we’ve lost over the years to the forces of the universe. There is almost nobody left of that generation still making games alongside us today. Even I feel the pull of the world upon me, having gone from an unemployed bum to an instructor engineer. Yet, I fear for EVNs naught. I see the young’ins of today and have faith that the stories of tomorrow will be bigger and better than those that inspired me as a young, unemployed man years ago. Cheers, mates, to the novels that have seen the light of day and those that await us. Word count: We had an inspection this week at work. Between the long hours and the constant exaustion, nothing got done. Yeah… I’d apologize for not getting anything done on the script, but my day job pays for all of this. It gets priority. Sprites: All of the sprites are now done! Music: We’ve added a few more tracks. They’re pretty good, I think you all will enjoy them. …yeah. Not a whole lot to update today. I’ve got a few things I need to look into after getting back a few reviews of the script, but overall things are going quite well. …so. Yeah. Not sure what else to say here. Stay tuned next week when I have something substantial to say. Until then, here is a piece of pretty art with the two route characters so you won’t burn my house down for such a paltry update. I’m going to blame listening to the video of the week for my lack of motivation after work. Sprites: Sprites are almost completed. 8/9 are done. Script: It’s that time again when I start looking for help to check my script and tell me just how batty nuggets I am. If you are interested in getting that early sneak peak and helping me out, let me know. Misc: We will officially be putting out a port for Android. Komi has taken the time to figure out RAPT. As always, if you have any comments, concerns, questions, or curiosities, feel free to throw them my way. Since comments are disabled, you’ll have to go to the LSF thread or e-mail me at chief (at) idhasstudios(dot)com. And I didn’t do a video of the post last week! I bring great shame upon my family. There is only one way I can make this up… STAR WARS DANCE OFF! Time for that weekly update! 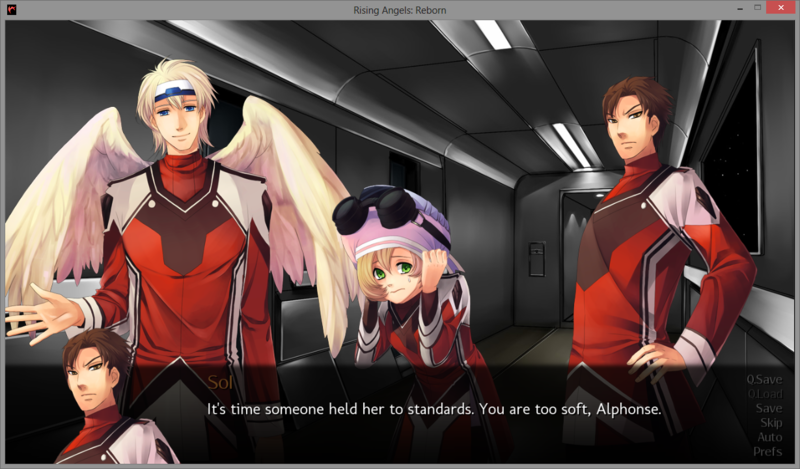 I’ve been updating the LSF thread on the updates to Rising Angels: Reborn, so I figured I might as well bring the blog back up to speed. However, I am not enabling comments again because it was a pain sorting through the 99.99999% that were spam comments. If you want to talk about it, please head over to the LSF thread. -This is so much longer than I was intending, but the story is rolling very nicely. I’d say the script is at about the 60% complete for the first route. Editing for the next block of script should be starting soon. I’m going to say that the finished story will probably be around 80-90k. GUI: Coded and done. I would like to give a moment of thanks to SundownKid for putting in the hard work required for this. One of the (many) complaints with previous works was that there wasn’t a unique GUI and it didn’t fit the size of the game. That’s one problem solved! One of the awesome things being added to this project is a database of terms, planets, species, ect to help our newcomers. 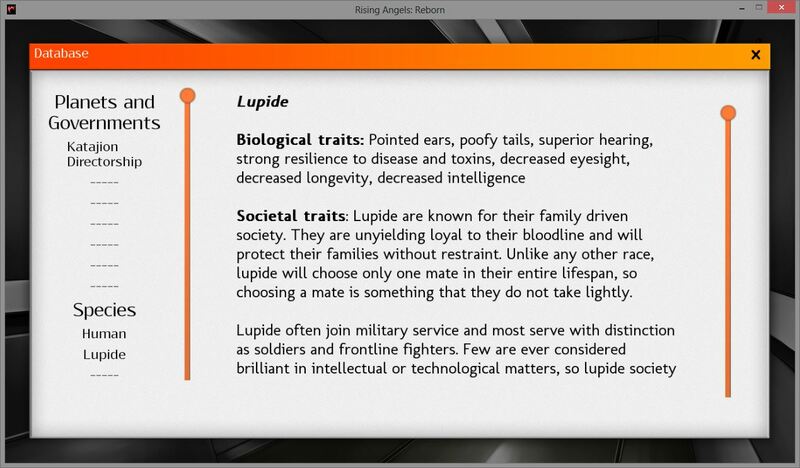 While some things are still woven into the story, I’m trying to combat the info dumps… with codexs of info. Various things will be unlocked as you go through the story. 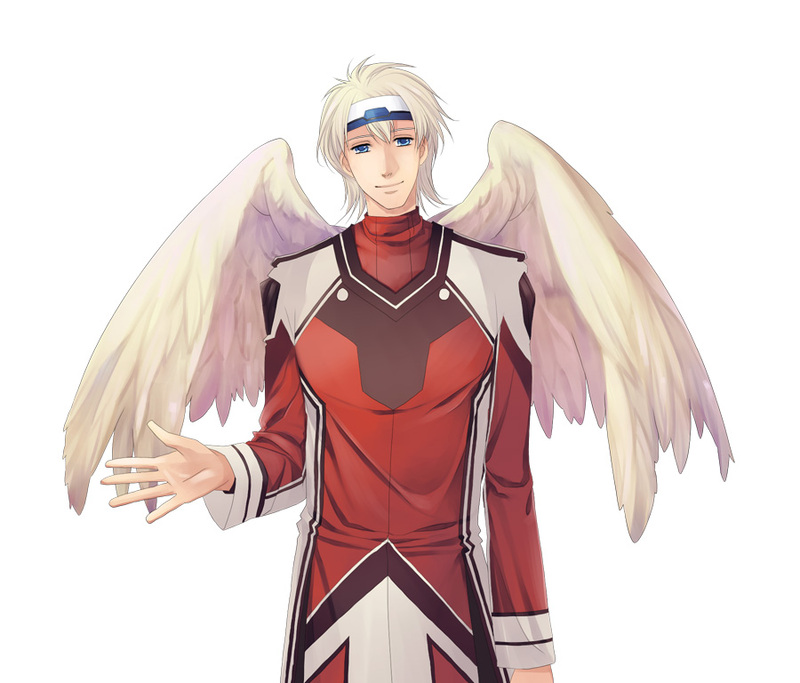 CG: Remember when I said at the start of this that I’d do CGs when hell froze over? Well, guess what? It’s subzero here in my office now. I’d like to welcome [url=http://fieru-ri.deviantart.com/]fieru-ri[/url], our new CG artist. While there may not be a lot of them, Rising Angels: Reborn will have CG! Sprites: Progress on sprites is moving along at a good pace. Several sprites are done. Here’s an example of the awesome art you can expect in the final story. Okay, I think that wraps up this week’s updates. I’ve probably forgotten something, but that’s why I always welcome questions and comments. Contrary to popular belief, I do listen to suggestions. I haven’t even gone on any depressing emo rants this development since I was politely asked to stop.